The UK may be in a constitutional crisis after the 'rightful king' resurfaced and now wants to take back ownership. 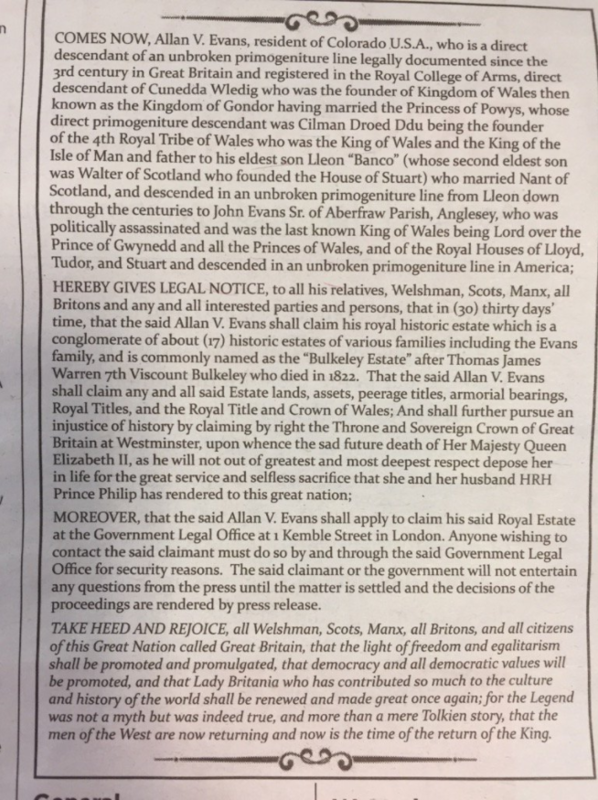 Allan V. Evans published a letter in the New York Times today, outlining his claim to the British throne as a direct descendent of Cunedda Wledig, founder of the Kingdom of Wales. In the letter he says that the line passes right down through Nant of Scotland, past all the Tudors and finally ends in him - the last King of his line. The American man gives notice to the United Kingdom that he is next in line "whence the sad future death of Queen Elizabeth the Second" takes place. The only reference online to Allen V. Evans is that he is an American politician. Evans is the West Virginia House of Delegates Member from the 48th District which represents Mineral County and Grant County. He also serves as the Minority Chair of the Agriculture committee. He is also the rightful king of England. 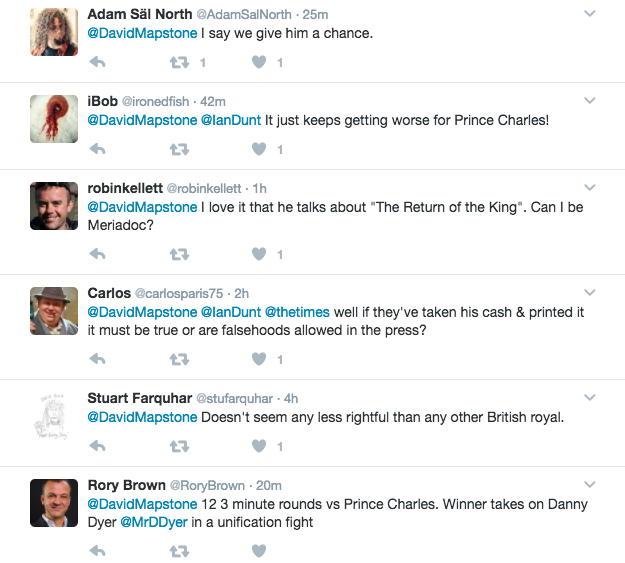 Since taking out a full-page ad staking his claim, he's garnered a lot of support from the British people. Although Windsor Loyalists aren't happy about it. Sadly his claim does not appear to be the strongest out there. Gondor is a land that only exists in Lord of the Rings.